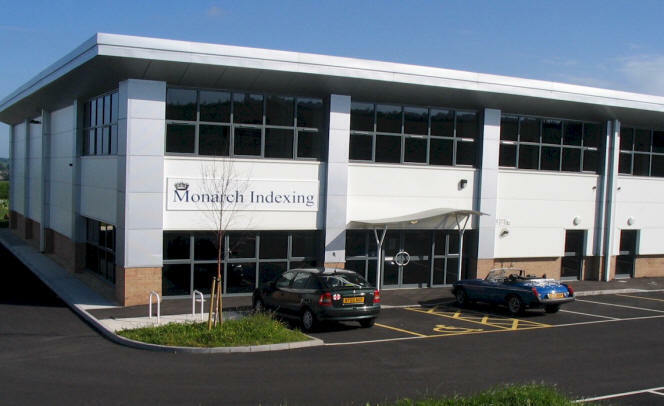 Monarch Indexing is Europe's premier book finishing service, based in South Yorkshire, we have a skilled and flexible workforce, high capacity and the most up to date facilities available for step indexing, thumb indexing, tab cutting, indexing, tabbing die-cutting and general book finishing. Our core business is tab cutting - step indexing for catalogues and thumb indexing for dictionaries and other large books coupled with specialist cut & print work e.g. address books, diaries. We have flexible and high capacity trade packing facilities, including shrink wrapping and boxing. We can provide a rapid, reliable and flexible turn around at a competitive price - we pride ourselves that we always meet agreed delivery dates. We provide step indexing, thumb indexing, specialist tab cutting and other book finishing services for all of the major European publishers, UK Telecoms and Utility companies, and a number of banks and other financial institutions, as well as all the largest binders in the UK. Use this site to find out about the book finishing services we provide, and to contact us if we can help you. Monarch are updating our website - first new release live February 2014 - new, faster video hosting, full screen capability, lots more improvements in the pipeline - watch this space! We have leading-edge high capacity step indexing and thumb indexing facilities and a well trained and flexible workforce. We can step index or thumb index any size job from millions of books or other publications, to individual specialist orders. We can Thumb Index, Standard Step Index and add a fading thumb cut in many formats (see examples). Also, check out our new video assisted samples catalogue which can show exactly what can be done. 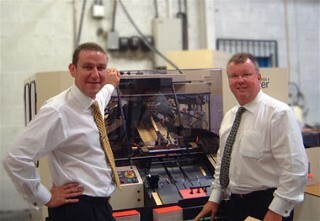 We work 24x7 and have the latest fully-automated high-capacity indexing capability. We have flexible and high capacity Trade Packing Facilities including shrink wrapping and boxing. See our video "How We do it " to see our facility and high tech machines in action!